Most Malaysians would be familiar with the expression, “Ipoh mali”, used to refer to someone who hails from the capital city of the Silver State. But I now challenge everyone to “Ipoh pergi” or “go to Ipoh”. Why? There are many reasons. Although Ipoh has long suffered from middle child syndrome, so called due to its location right smack between Kuala Lumpur and Penang, both well established as key tourist spots, it is fast coming into its own as a destination to be reckoned with. My own memories of Ipoh are plentiful and joyful. My mother’s brother lived there and I remember enjoying many exciting childhood journeys by train as a wide-eyed tot accompanying my mother — obeying the adage of “where mother goes, I go”, as all youngest children are wont to do — on regular visits to see kinsfolk. My uncle operated a hotel and bar, like many Hainanese used to do in the 1960s and 1970s. It was called Sun Cheng Tin and located at the corner of Clare Street (now called Jalan Mustapha Al-Bakri) near Jubilee Park, the equivalent of KL’s BB (Bukit Bintang) Park where young and old went for their respective day and night entertainment. As my uncle had a big family, holidays to Ipoh invariably revolved around playing with my cousins, including two elder boys who played rugby for the state and endless rounds of makan. 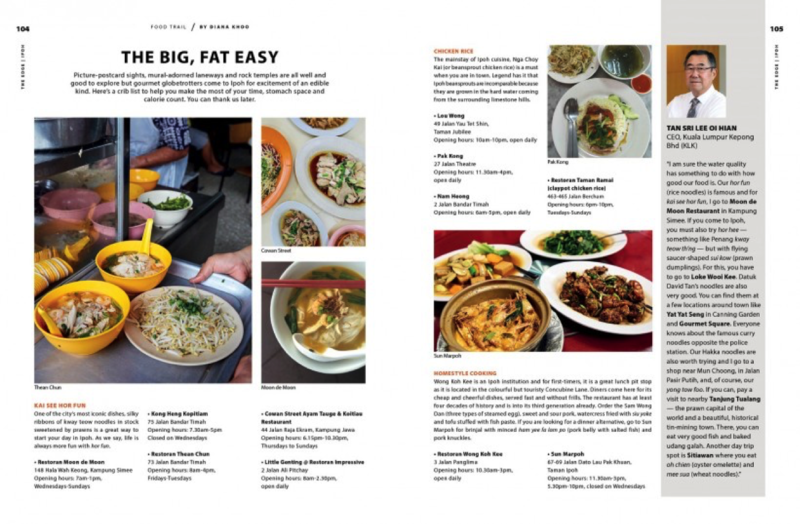 The food in Ipoh is renowned across the region for good reason. And, until today, although everyone raves about famous favourites like chicken rice with bean sprouts and the like, I harbour a particularly soft spot for its nasi kandar. There is, of course, the famous stall at Yong Suan in Jalan Yang Kalsom hawking the cheekily named nasi ganja and which is always packed to the rafters. But my personal preference is for Salim’s, on the other end of the road. If I’m en route to Penang, where my wife is from, I never fail to make a pitstop here. Ipoh has also been undergoing a slow and steady transformation over the last decade and, given the influx of investments and talent into the city, there are now innumerable reasons to consider it for a getaway versus a mere stopover. From the cultural offerings to the heritage architecture, world-class cuisine, personable people and languid lifestyle, it makes perfect sense to plan a visit post-haste. Ipoh is, after all, less than a two-hour drive from KL or Penang and a short direct flight from Singapore. 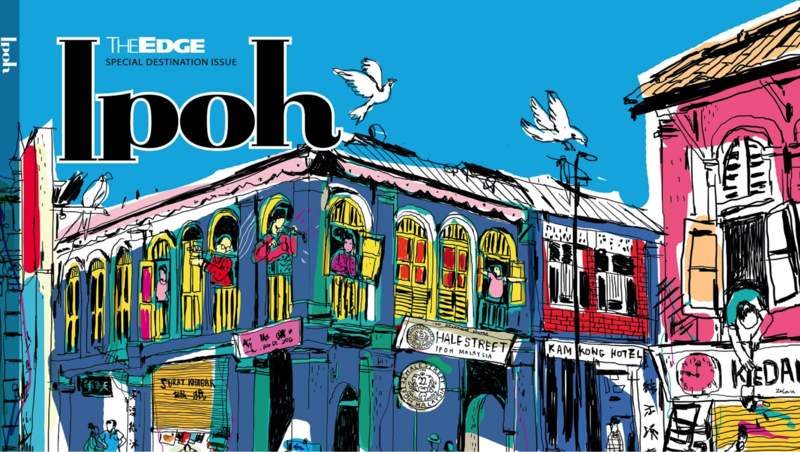 We hope this special magazine, put together by our executive editor, Diana Khoo, and her Optionsteam, with its features on the generational businesses that continue to thrive in Ipoh, the gustatory offerings, hip hotels, interesting things to see, do and experience and cool café culture, will inspire you to go forth and explore. As famous fellow editor Diana Vreeland, not Khoo this time, once remarked, “The eye has to travel.” But isn’t it so much better if all the senses follow suit? That is what life is about, isn’t it? We hope our pages excite and that you enjoy Ipoh.